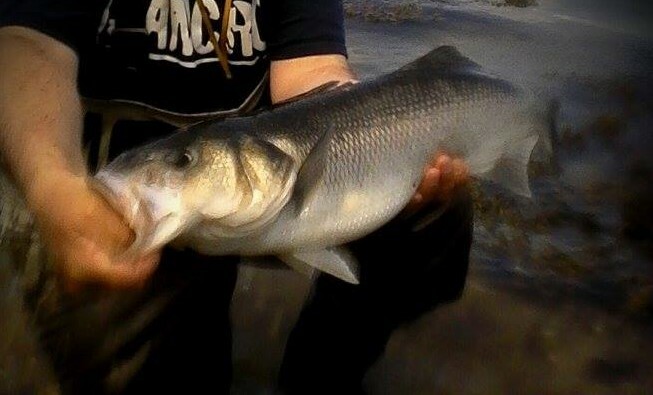 All about the bass, about the bass! 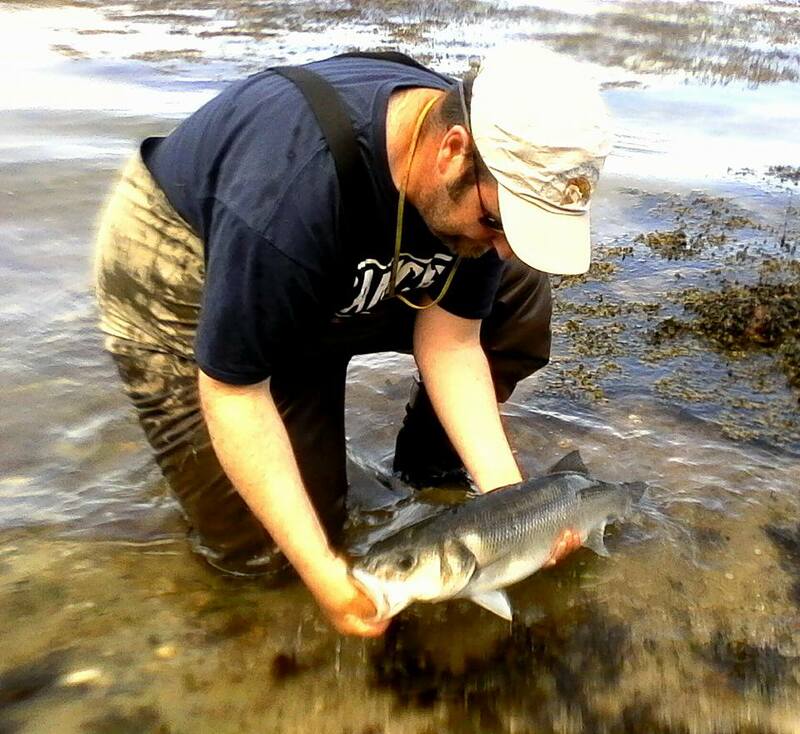 Been very busy with guiding and tuition since I got back from the Northwest Angling Fair in Tyrone. 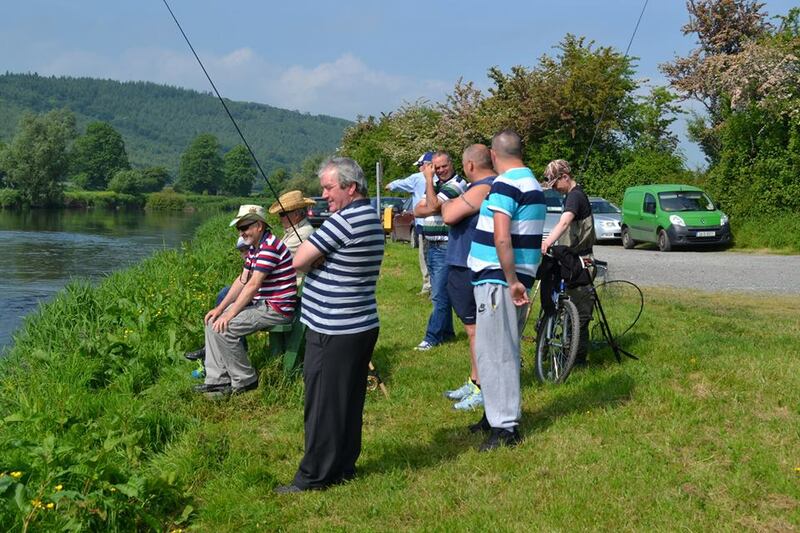 At the Clancy festival in Carrick on Suir I did some casting demonstrations and tuition on the local Carrick on Suir Club waters. 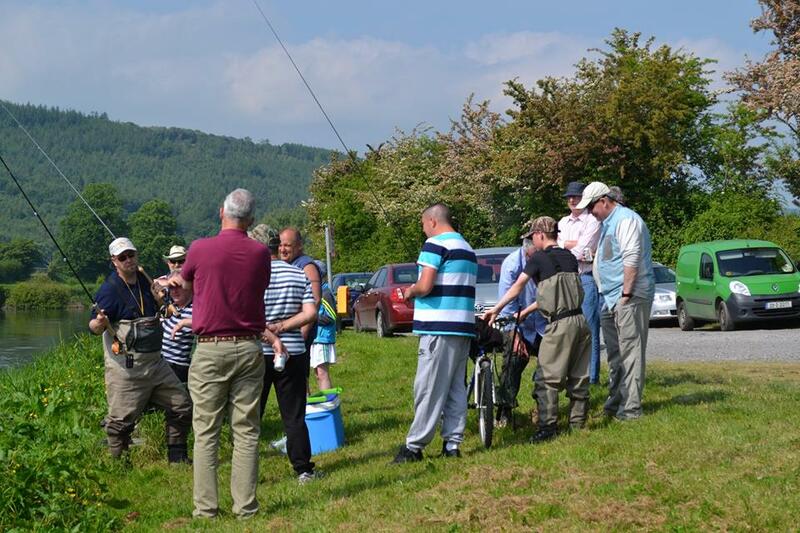 This is a super club who are very interested in promoting fly fishing and have worked hard to provide fantastic facilities of members and day permit holders. 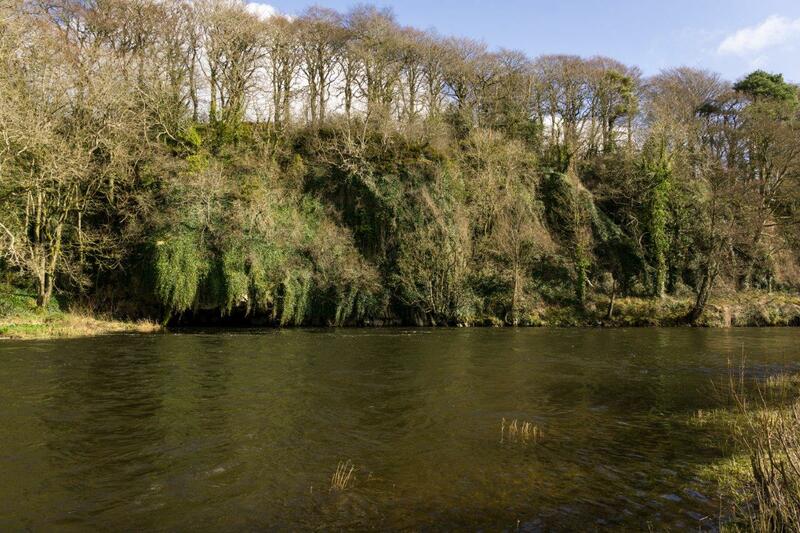 They have a really impressive stretch of water along the River Suir. 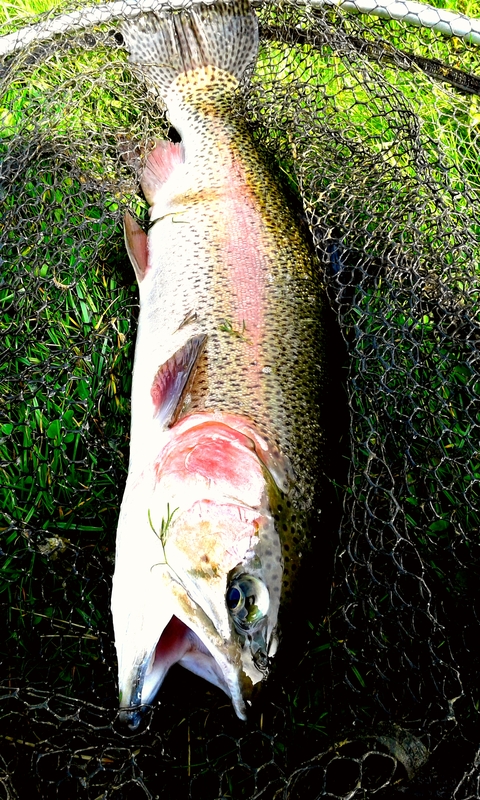 The daytime trout fishing has been tough in the bright warm conditions but we still had lots of fish on nymphs and dries but no really big ones. 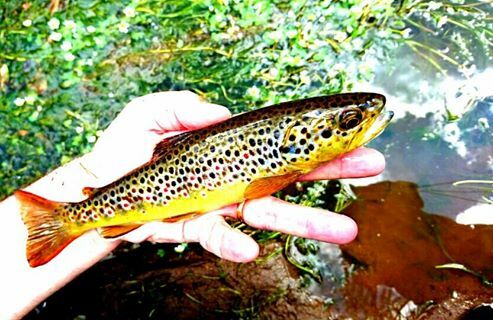 Having said that wild brown trout certainly don’t have to be big to be pretty fish. 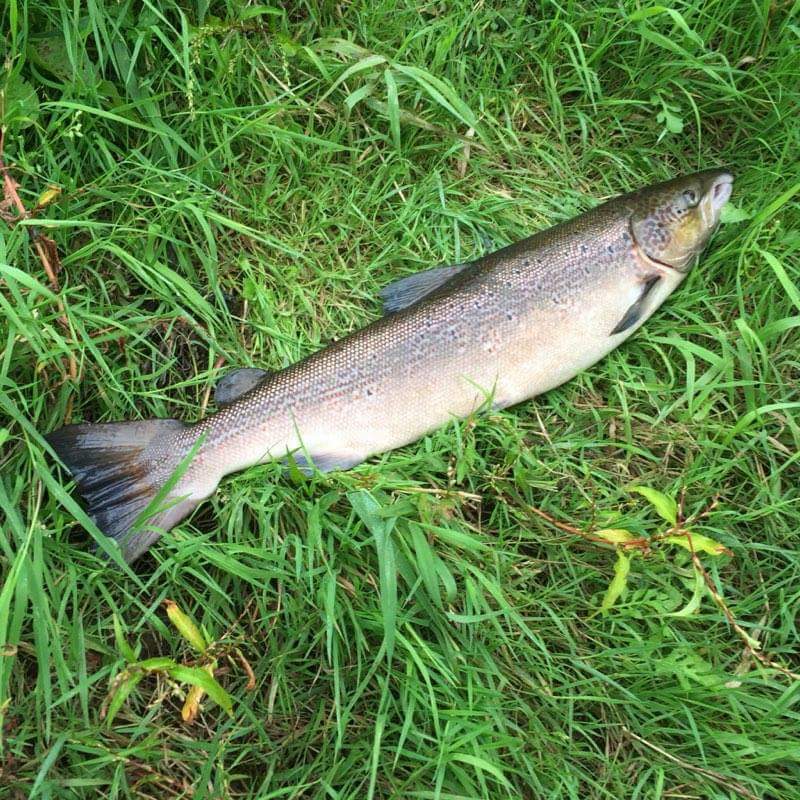 Just look at the beauty we had from a local stream the other day. Remarkable colours. 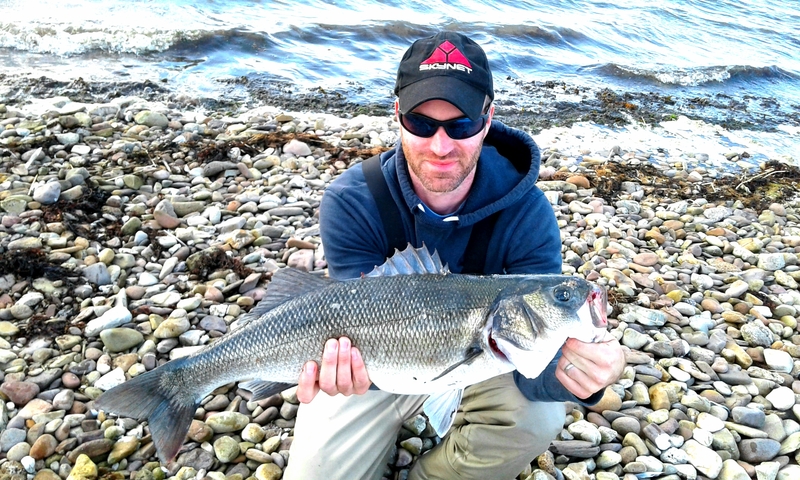 On the other hand the bass fishing along the copper coast and into Tramore has been awesome over the last set of spring tides. 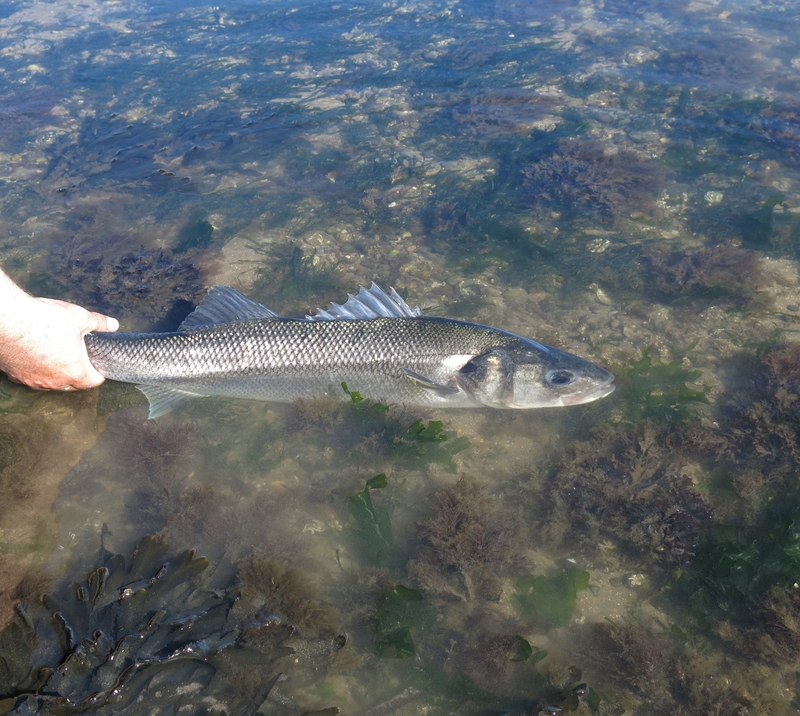 There were large numbers of fish caught in the Tramore area during night sessions. 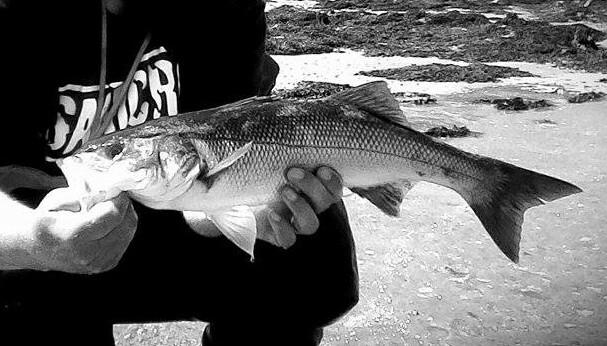 When the weather is very warm and sea is calm night fishing over shallow sandy surf beaches can be very productive indeed. 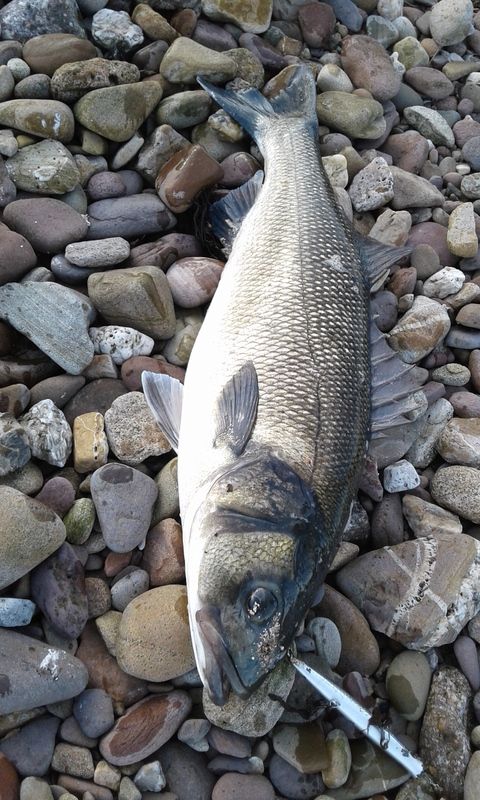 However, as a fishing guide a lot of my clients either cannot or just do not want to fish during those hours so I am faced with trying to get them onto fish in daylight during the same conditions. 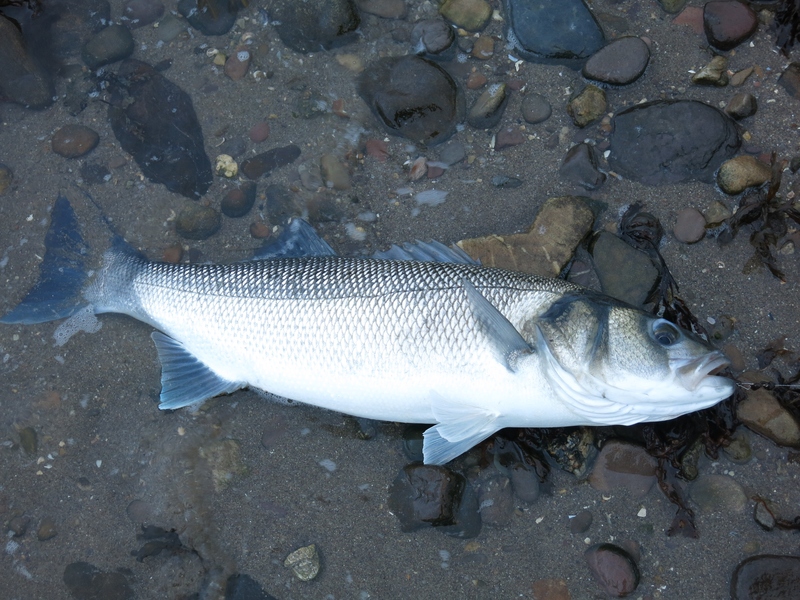 This means trying a lot of tactics but the big tides do help quite a bit and we had some fantastic bass recently, with several over 70cm and one over 80cm. 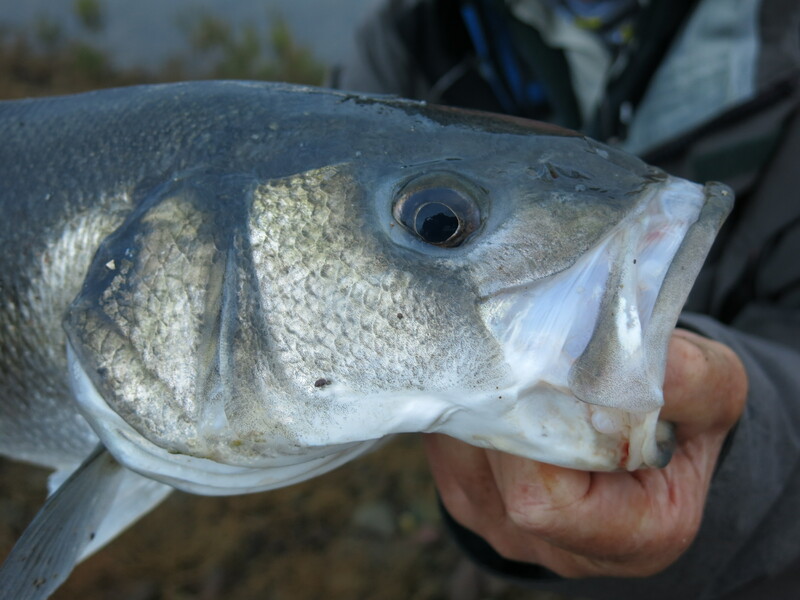 Adapting to the fishing situation is important and we had fish on surface lures, shallow divers and in particularly the soft plastics. 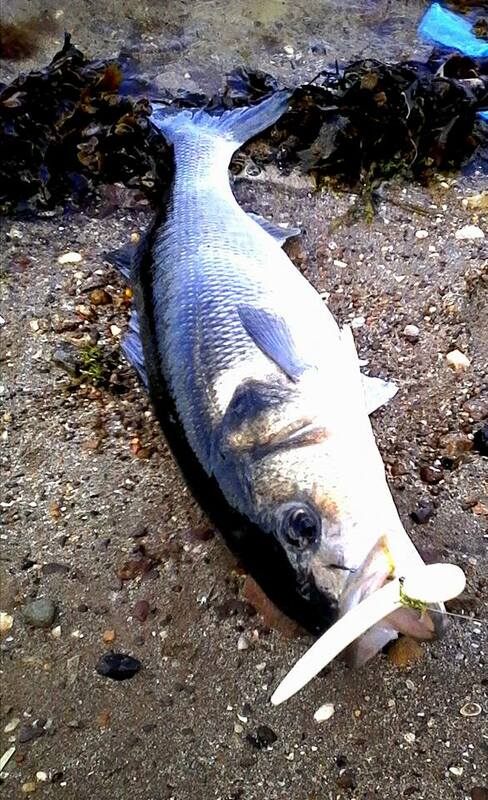 Senko worms are really doing the business along with some paddle tails. 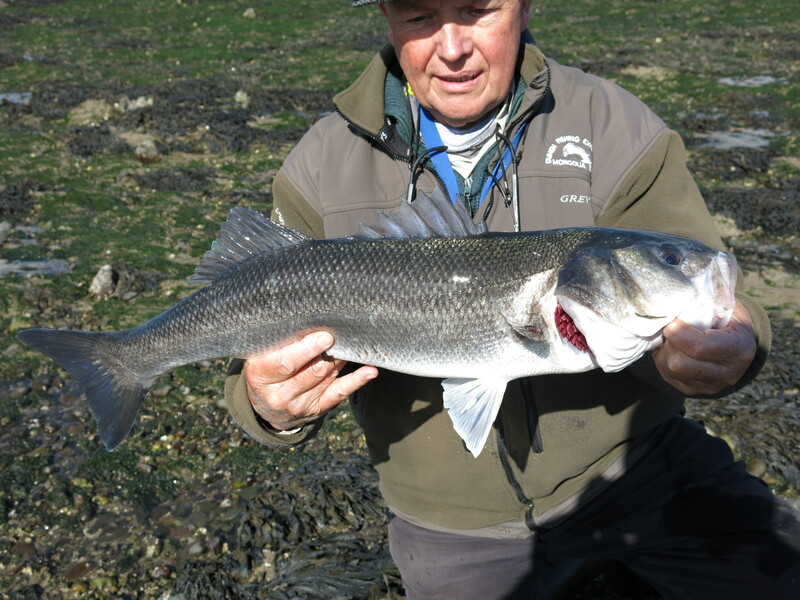 The next spring tides are not far away so I’m really looking forward to getting out there. 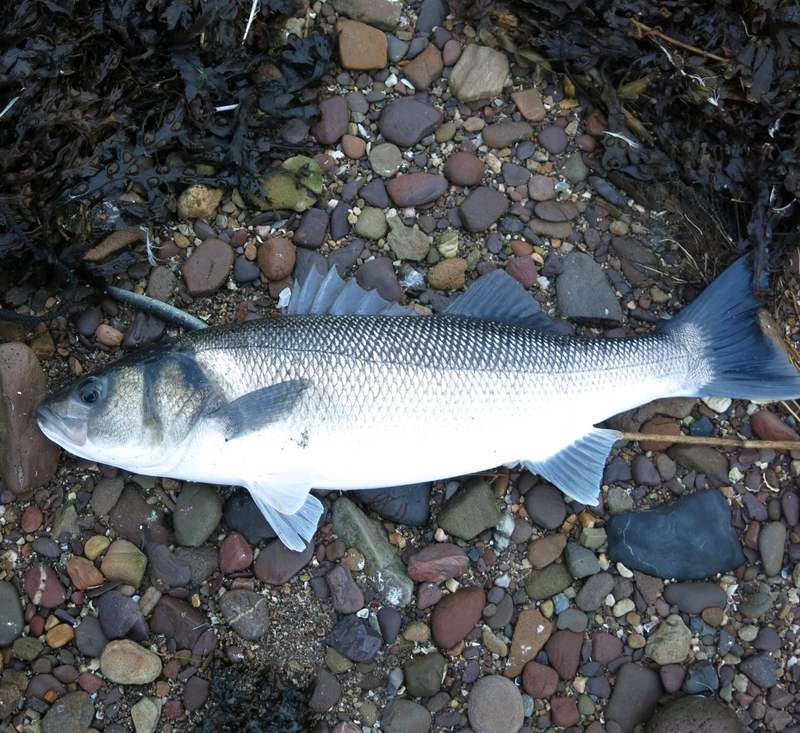 Remember the be familiar with the bass angling regulations and practice catch and release. 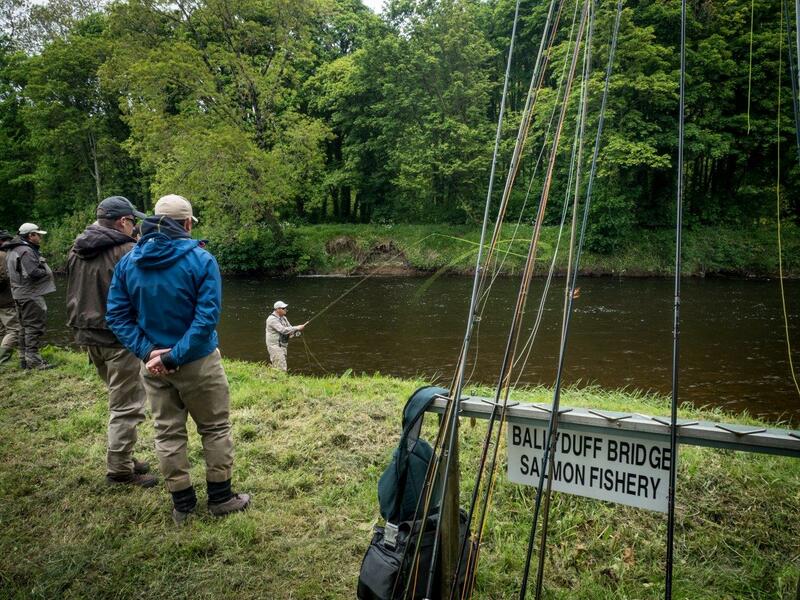 On May 17 we held our salmon fishing course on the beautiful Ballincurrig beat of the Ballyduff Salmon Fisheries. 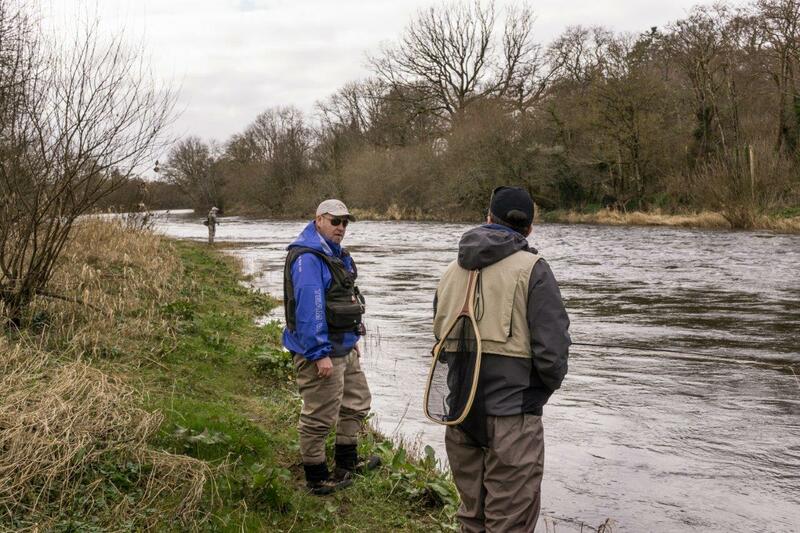 I was joined by Maurice Cahill (Mackenzie Pro) and Denis O’Toole (Pro Fly Tyer). Our regular top photographer came along to take more amazing photos for my blogs! We met up with the participants at the village of Ballyhooly and then headed over to beat. 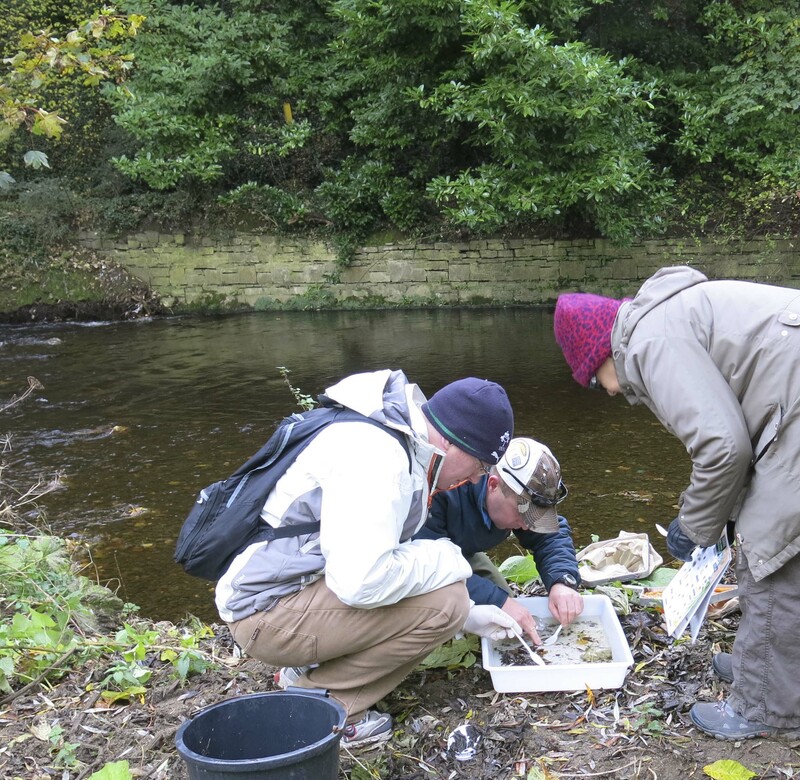 We got our waders on and headed off down to the river. 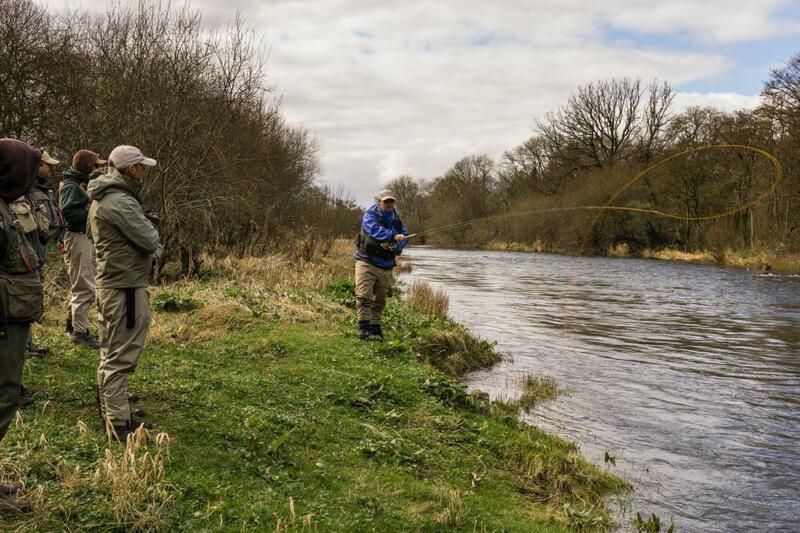 In the morning I explained some different fishing outfits to the guys, including: spey, switch, skagit and shooting head. 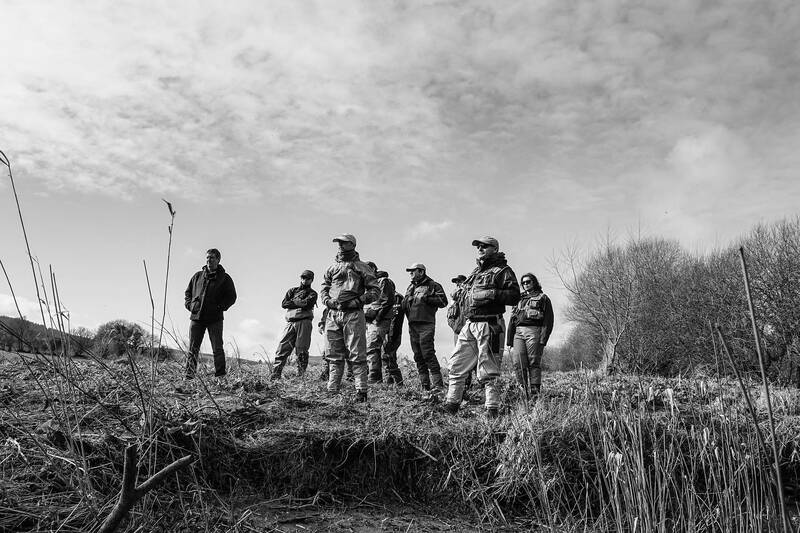 The approach was to simplify the range of available tackle into matching outfits for different fishing situations. 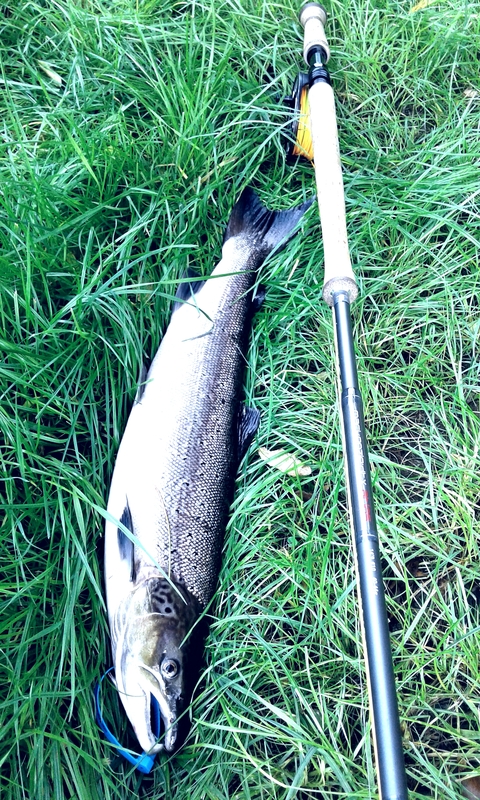 After this I demonstrated 4 useful spey casts: single spey, double spey, snap-T and snake roll. 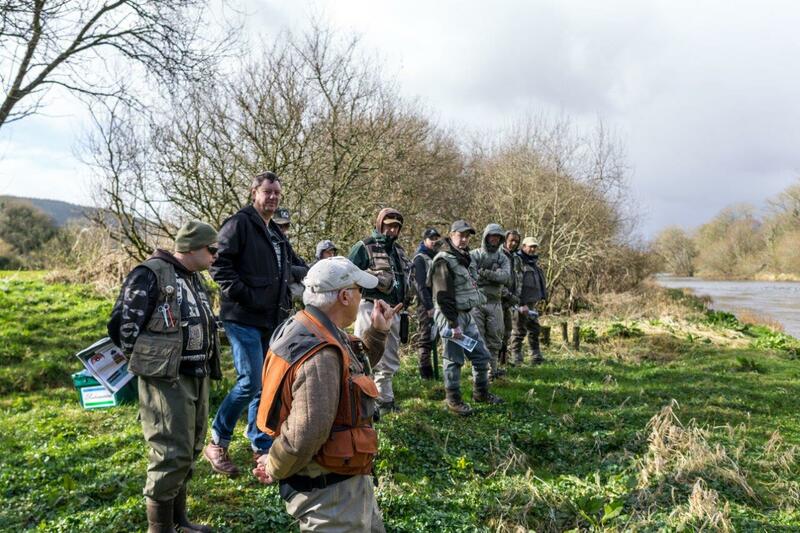 Maurice explained some likely holding lies and we had a great informal discussion about fly selection and leader set up. 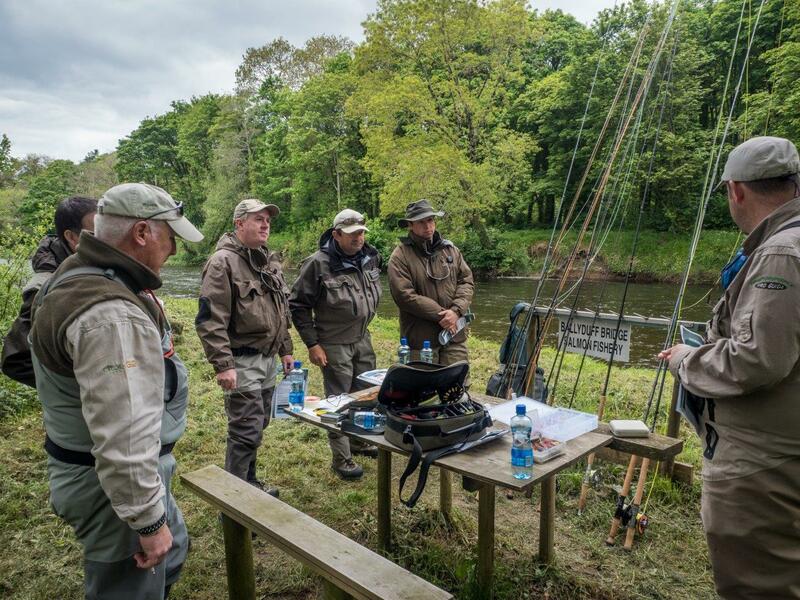 Denis showed the lads different styles of salmon fly and talked about how they would behave in the water – really useful stuff. 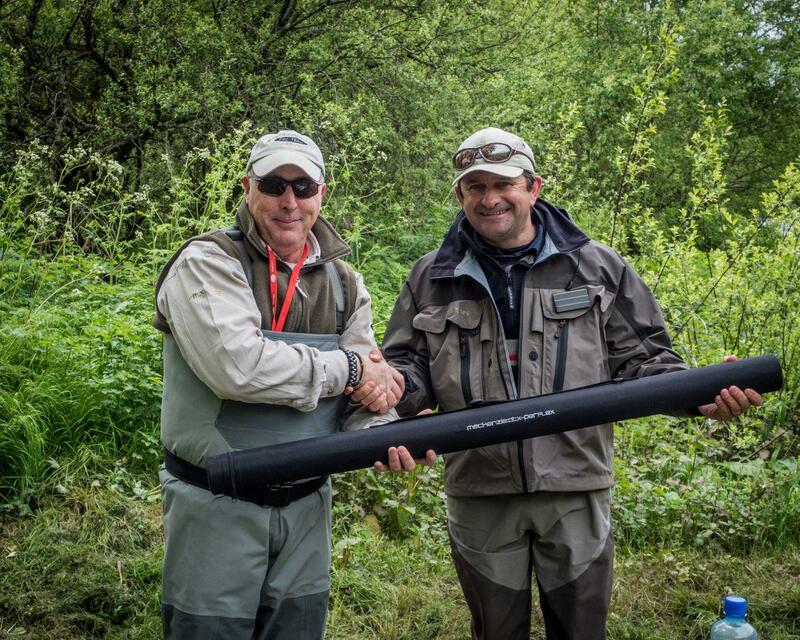 We took a break for lunch and held a raffle for the free Mackenzie Perflex rod which was sponsored by Scott Mackenzie. The lucky winner was Cal from Bandon. 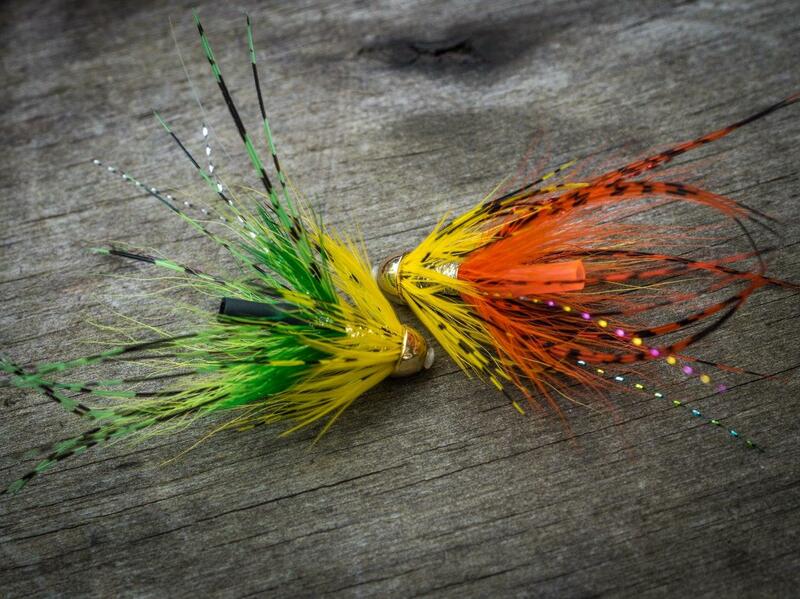 Denis did a fly tying demo and tied some cracking intruder flies on tubes. 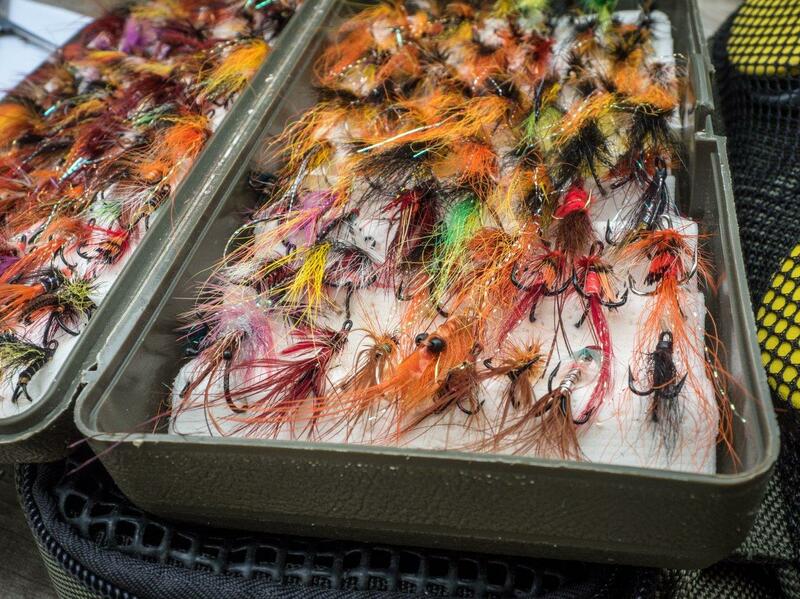 Then he gave everyone on the course some of his amazing flies to use for the evening. What a nice chap! The guys then worked on their casting and everyone saw a good improvement in what they were doing. A few useful tips and a little confidence made a significant difference. 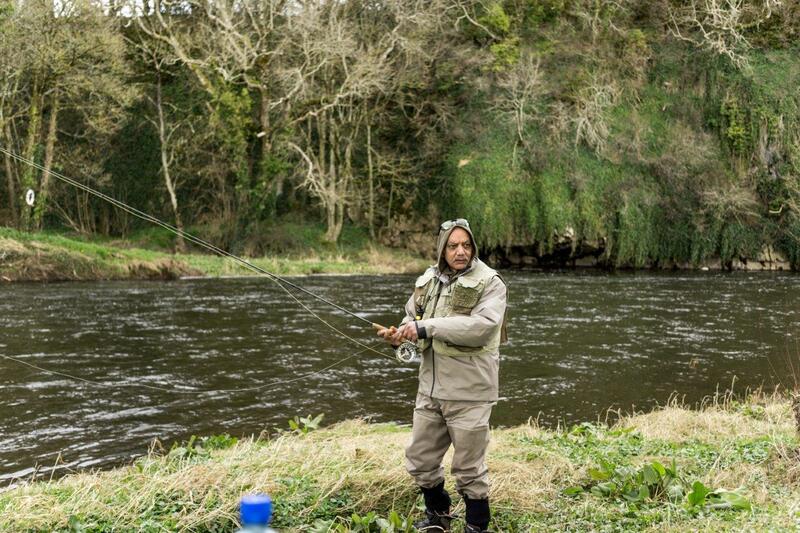 They fished on and Frank from Dundalk had a short take not long after Damien had seen a fresh fish enter the pool below. Delighted to be able to announce details of this course with Ken Whelan. 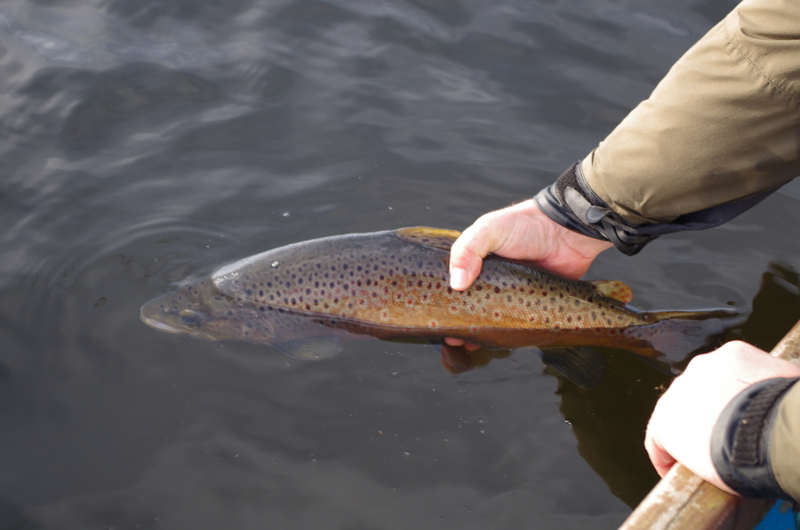 It is going to be really informative for those of you who river fish for wild brown trout. 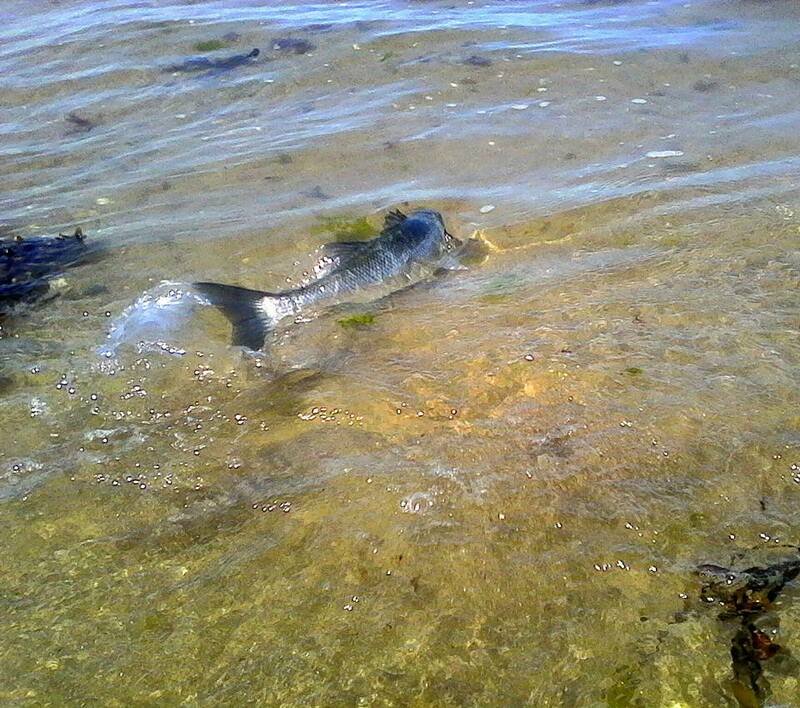 Are you interested on what these fish are feeding on, and how to imitate these food sources with artificial fly? If so, then this is the course for you. 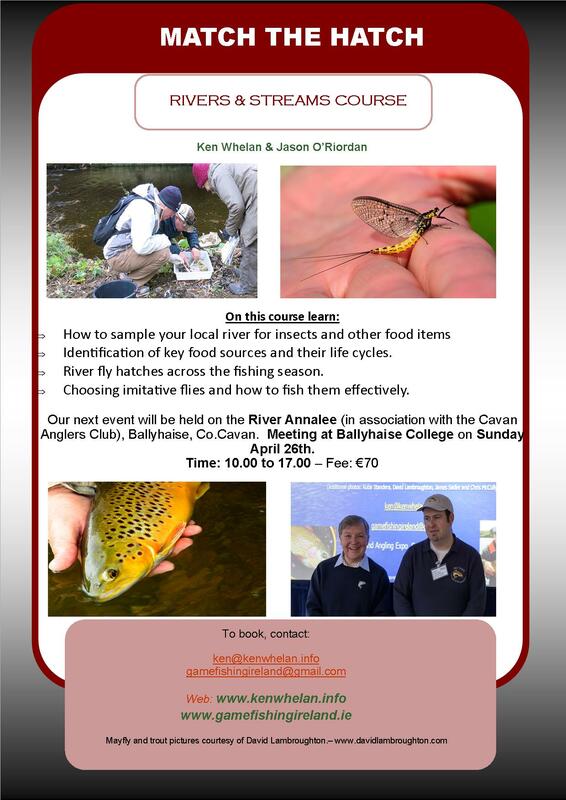 It is being held on the River Annalee (in association with the Cavan Anglers Club), Ballyhaise, Co.Cavan on Sunday April 26th. Places are limited so get in touch ASAP if you want to participate. 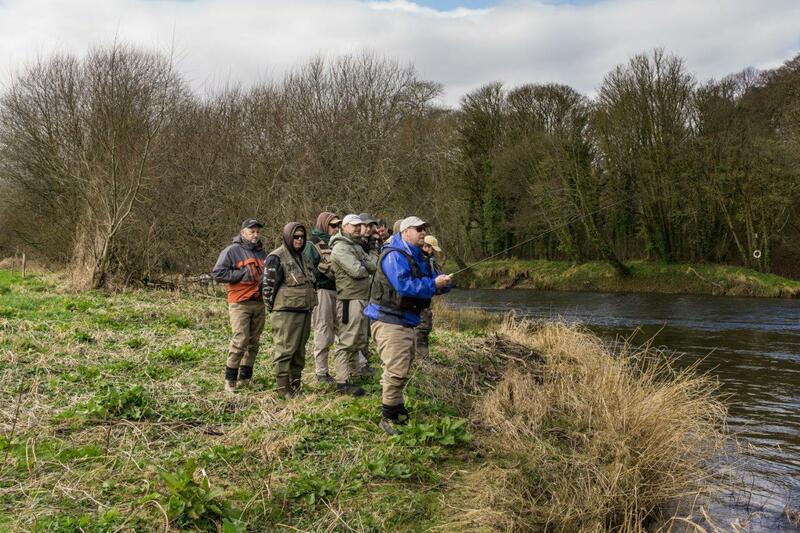 Last Sunday I held our River Trout Fishing Course on the Blackwater River. 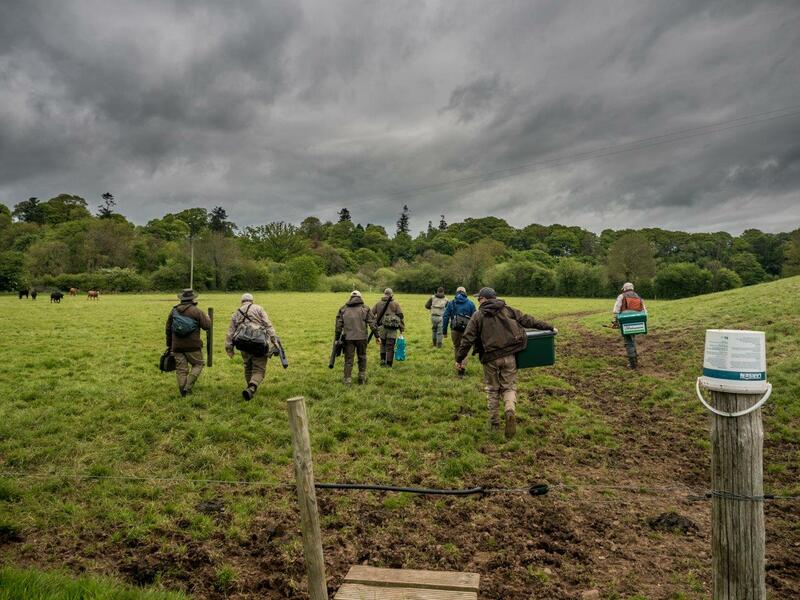 I was joined on this course by fellow Mackenzie Pro Team member Maurice Cahill and our ace photographer Kuba Standera. On the day we met up at Ballyhooly village with all 11 participants for the course. From there we traveled over to the Ballincurrig beat which was our venue for the course. Access to the beat was a short walk from where we parked. 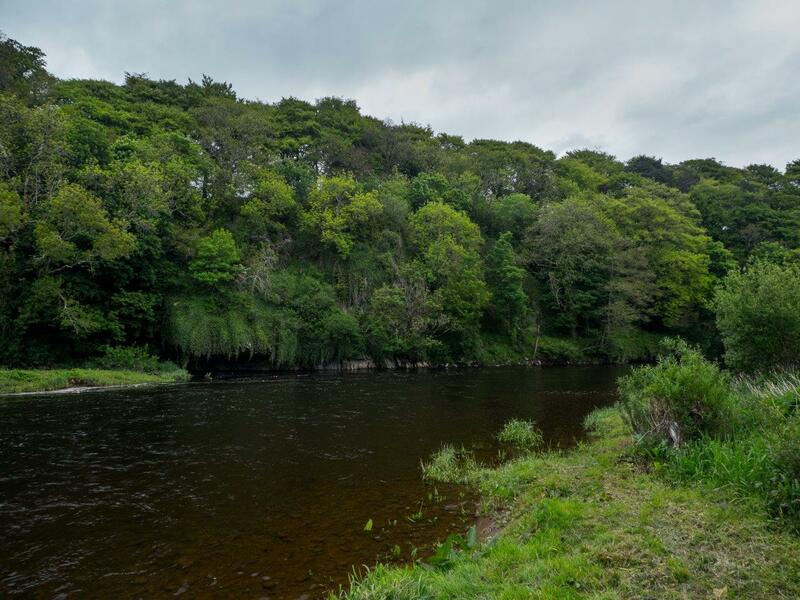 This is one of the nicest stretches of the river I have fished over the years. 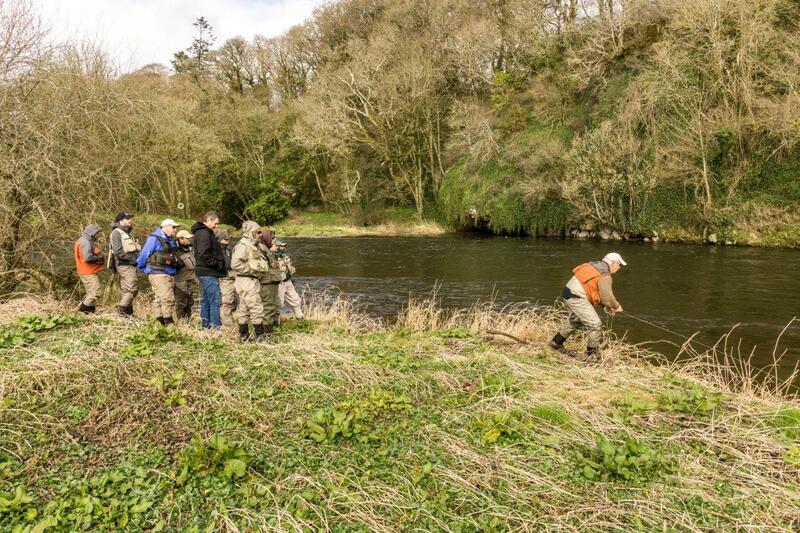 I started off the course with a chat about tackle choice for different fishing techniques and also what might be suitable for small and large rivers in Ireland. 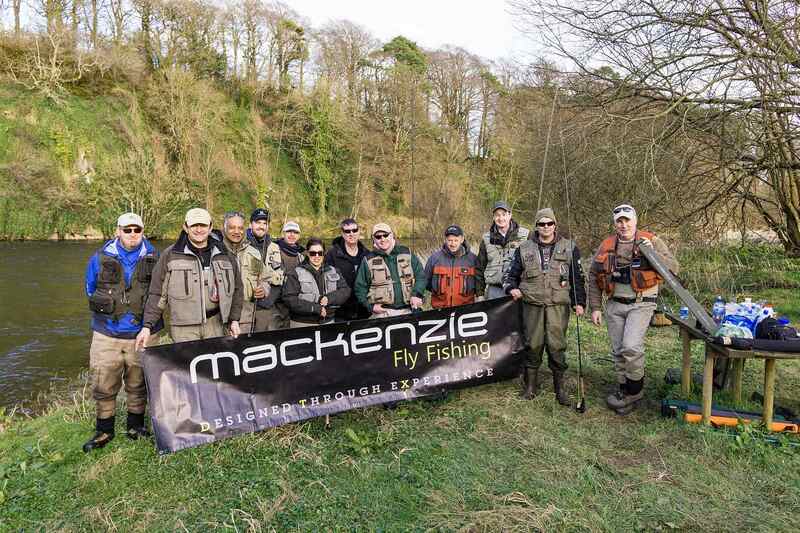 We had a range of Mackenzie rods to use for demonstration from 9ft 5wt to 11ft3 7/8 switch rods. 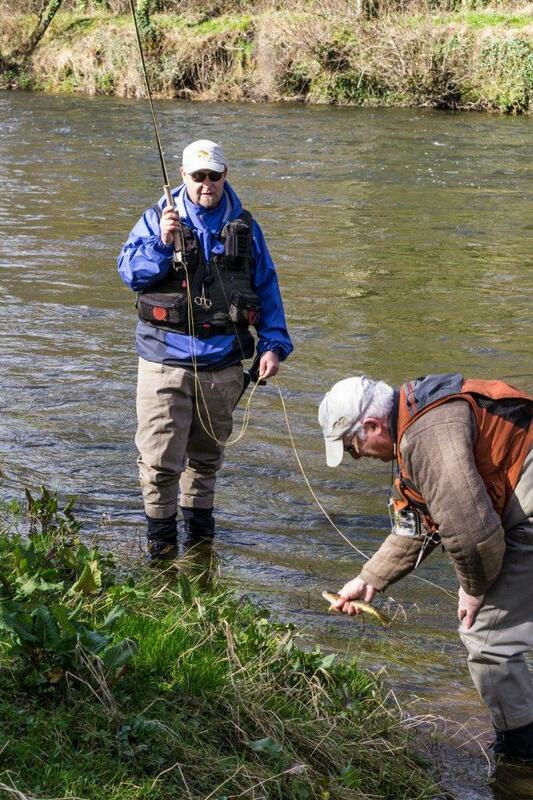 Maurice did a demo on dry fly fishing and another on wet fly fishing to a captivated audience! As it was still very early in the season there was little chance of anything on dries but he did get a pull on the wets. After this I went through various nymphing tactics from short lining with heavy nymphs to long lining and using French leaders. Kuba showed everyone a range of “genuine” Polish nymphs and many gasped at the size and weight of some of the flies on display. 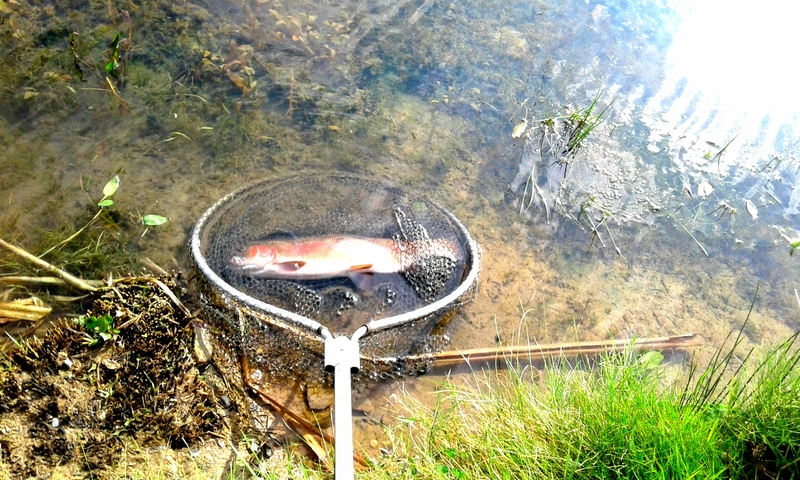 I demonstrated some nymphing at medium range but it was obvious that this was not going to be productive with the high cold water. 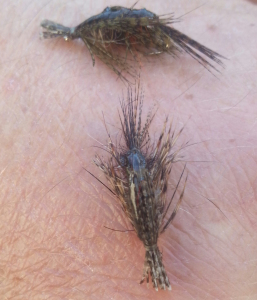 So I changed over to short line with heavier nymphs. Everyone was happy to see how the leader was constructed and fished. 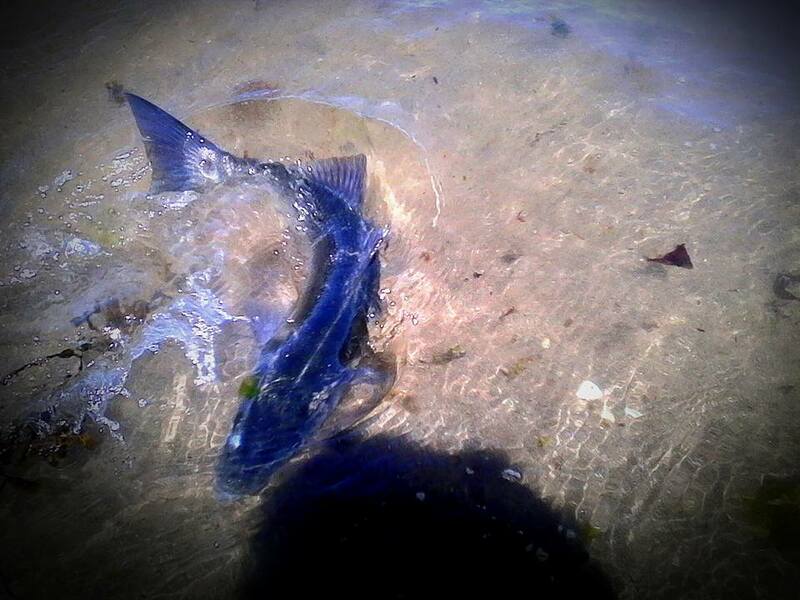 I used an indicator and had a take within a few casts that everyone managed to see. 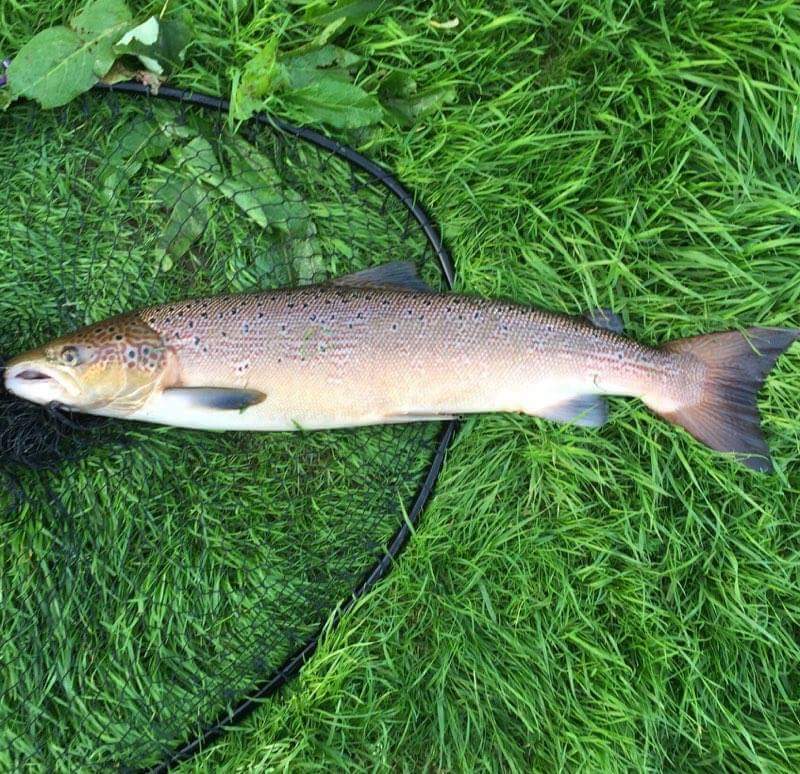 It was a small trout but it showed how a change in tactics can produce a trout from a spot that appeared fishless shortly before this. 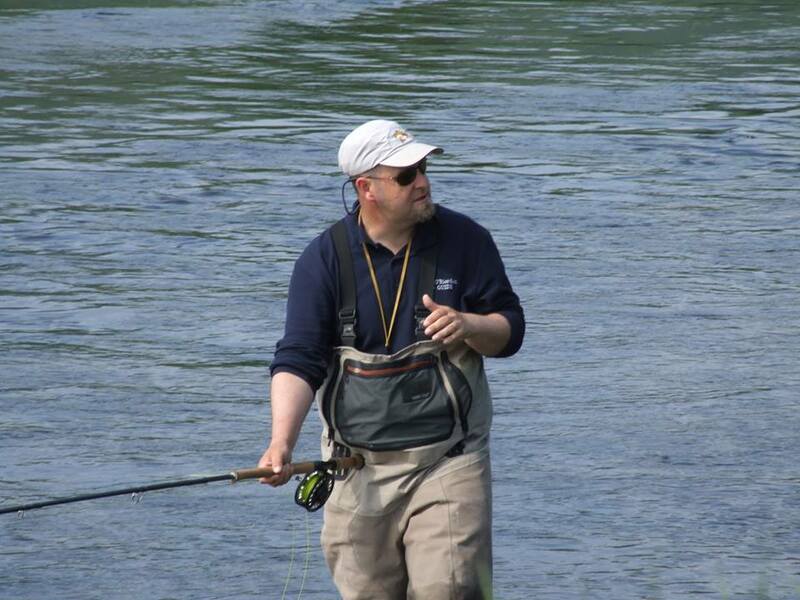 Once the nymph fishing was explained I then did a demo on streamer fishing. 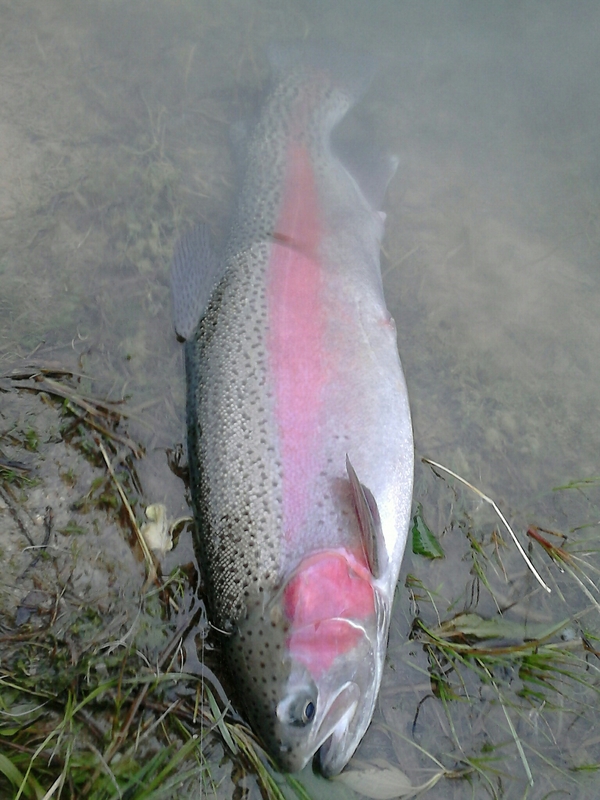 I used a 10ft 7wt Mackenzie and streamer line for this. 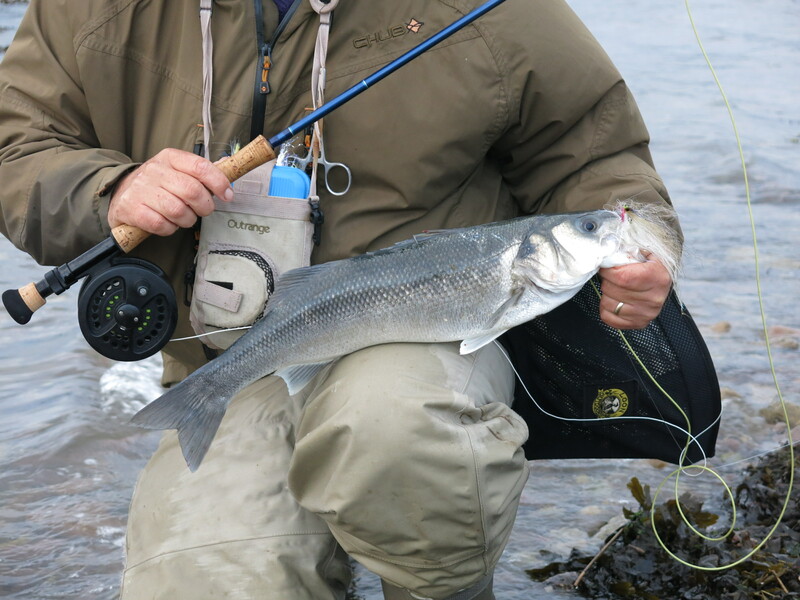 This is an awesome rod that I often use for big lures at stillwaters so fishing a large streamer on a specialist streamer line was no problem. 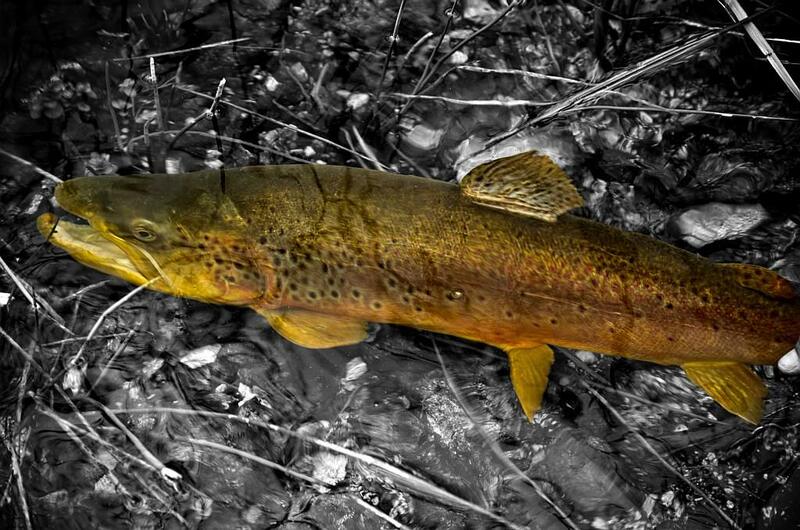 One of the things that often happens with streamer fishing is that some really good locations do not allow room for a good backcast so double hauling a large streamer is out of the question. Roll casting streamers on fast sinking shooting heads is not so easy either! So I also showed everyone where a switch rod with a compact switch line with a sinking head is really useful here. 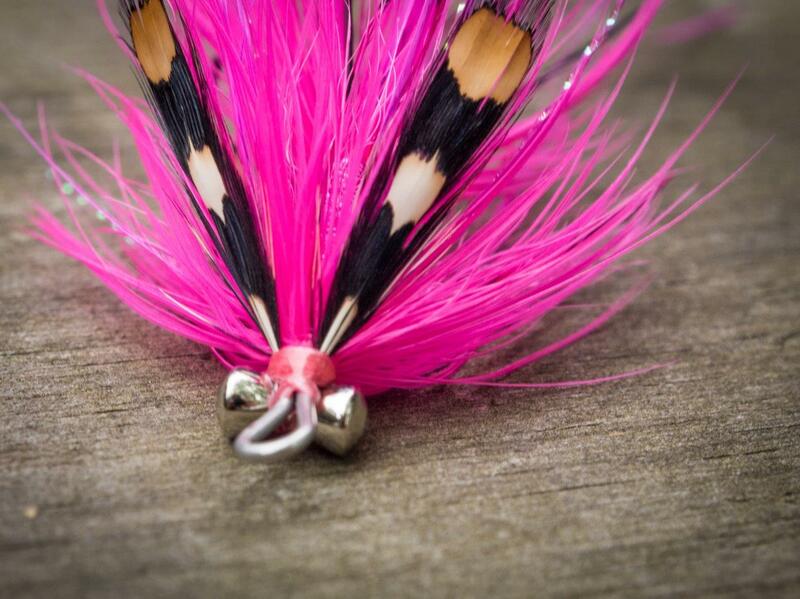 I simply spey cast the streamer across using this Kit and the evidence was there for all to see. 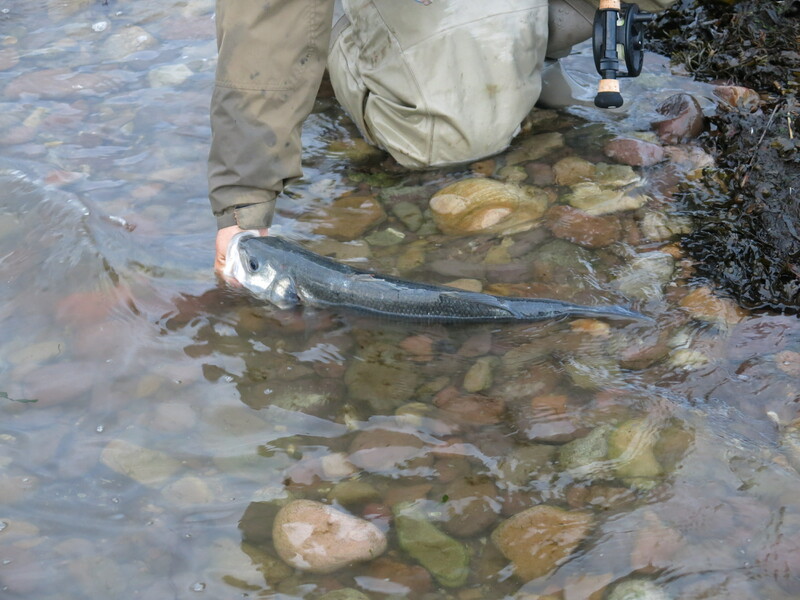 I had one hook up on the streamer during the demo but mentioned to the participants that there was a really good piece of streamer water further up that I was leaving unfished for later. Cal headed up there after lunch with the Mackenzie outfit and sure enough he had his first ever streamer caught wild brown trout. Result. Everyone fished different techniques for the evening and there were hook ups, lost fish and one or two landed on nymphs and wets. The weather on the day had started cold but the sun shone for the afternoon and everyone seemed to have a great time. We took a little group photo in the evening and there were lots of smiling faces. 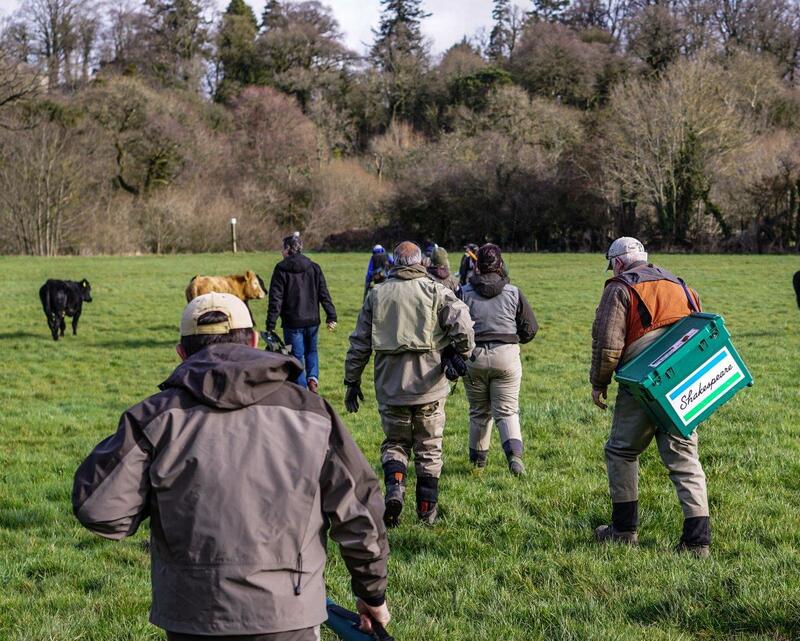 Our next course on the Blackwater will be a salmon fishing course in May. 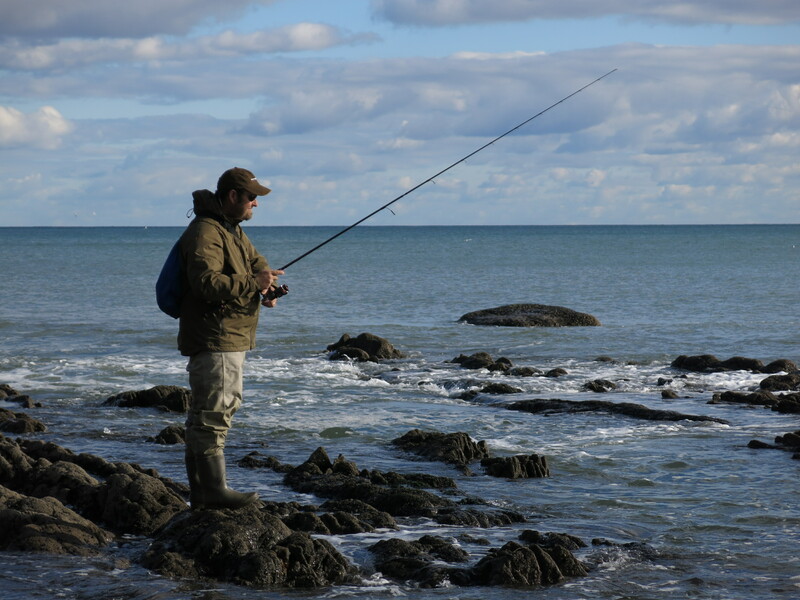 There will be tips on casting and fishing, and we also have a top Irish Pro Fly Tyer to tie a few fish catchers!